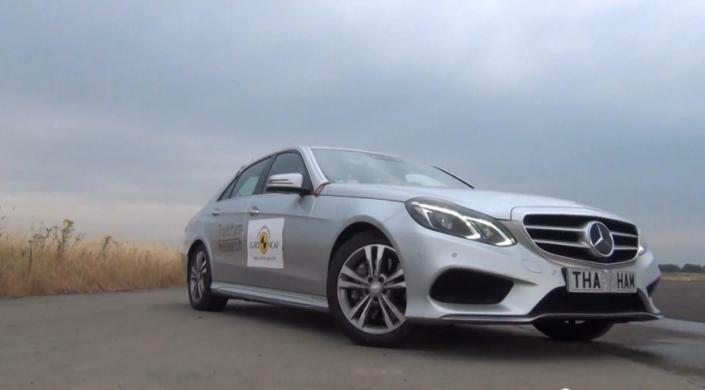 A new video has been published by Thatcham, showing how it uses ABD driving robots to perform EuroNCAP tests for AEB (autonomous emergency braking). The video shows the setup of equipment in the vehicle, the necessary preparation of track, vehicle and soft target, and the test itself. Click the link to see the video. The AEB procedure requires both the test vehicle and the towed target to be controlled precisely - only possible with driving robots. Thatcham use ABD steering robots and pedal robots to guarantee that "all possibility of human error is eliminated" from the test. In the video, Thatcham describes AEB as "probably the greatest ever advance in vehicle safety". From 2014, AEB testing will form part of all EuroNCAP new car assessments. ABD robots are also used by the other EuroNCAP test partners (Idiada, UTAC, CSI, TNO, and ADAC) for AEB testing.